API Tank Inspections | UNI Engineering, Inc.
U.N.I. 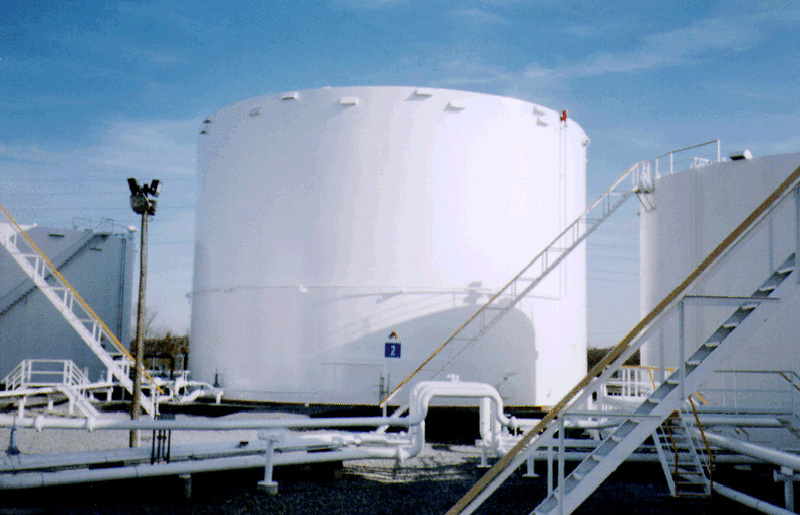 Engineering, Inc. offers owners and operators of petroleum, chemical and municipal storage facilities a storage tank inspection service. The management team for this division of U.N.I. Engineering is comprised of professional engineers, senior NDE Level II engineers, API-653 Certified Tank Inspectors, and Pennsylvania DER Certified Installers/Inspectors. This staff has over 80 years of experience in vessel design, construction, inspection, and evaluation, and is committed to unsurpassed quality and reliable service. All staff members are trained in Confined Space Entry procedures and certified by the American Red Cross in First Aid/CPR. U.N.I. engineers adhere to sound engineering practices and the most current applicable Code, State, and federal requirements. 1. Visual inspection of the perimeter foundation and grade, bottom plates and welds, shell plates and welds, roof plates and welds, tank coatings, sumps, heating elements, roof supports, valves, nozzles, grounding system, thermal bypasses, product level gauge and float, stairs and ladders, venting system, foam system, floating roof support legs, weather shields, pontoons, and other tank attachments. 2. Ultrasonic thickness readings on the bottom, shell, roof, and nozzles. 3. Corrosion depth measurements taken at any active corrosion areas on the bottom, shell, roof, roof supports, nozzles and attachments. 4. Elevation readings taken around the perimeter and along radial lines toward the center of the bottom to determine degree if any possible differential, planar tilt, and edge settlement. 5. Establishment of bench marks to be used for future settlement checks. We’re also equipped to handle tank plumbness, out-of-round tolerance surveys and tank farm containment volume evaluations. The data and information collected on site is promptly evaluated in conjunction with API Code requirements, as well as sound engineering practices, past experience, and any other applicable requirements. The report is promptly submitted along with sketches of the bottom elevations and bench mark, bottom plate layout and thicknesses, interior tank plan, nozzle and piping orientation, roof plan, and shell, roof and nozzle thicknesses. Required shell thicknesses, venting capacity requirements, and brittle fracture considerations are also addressed. The written report also includes recapitulation of the inspection and recommendations for a properly functioning storage vessel.